I bought some blueberries because, well, I love them. What more perfect food to add to one of these dips? And the color is simply beautiful. The consistency of this dip will depend on how juicy the berries are and how much honey you use. Mine was pretty thick, but great for scooping. Put it all in a bowl and mix with a fork, while also smashing it all together to break up the cheese and combine everything. Don’t worry about getting all the little chunks of cheese smoothed out. They add texture and taste great! Place in a small decorative bowl. Store leftovers in refrigerator, to have with crackers for a snack. Look for sales on the cheese to save money. Couple coupons with a sale to save more. Serve with apple or pear slices. Serve on a cheeseboard with fruits, vegetables, and Paleo friendly crackers. This recipe is the third experiment, and is just a mash-up of what I’ve already done. I like the flavor combinations. The consistency of this dip will depend on how much liquid you use. I mentioned the other day that I was experimenting with making flavored goat cheeses. If you missed it, check out how it all came about in that post. Sometimes mistakes turn into good things. This is the second recipe I tried. I must say I’ve enjoyed creating these recipes. And I’m happy to have something new to share with you here on the blog. Imagine my excitement. I’d been looking for a substitute for the cow’s milk cheeses and decided I would try these. When I got them home I looked more closely at the label. The ingredients are simple, which is great. However, the flavored cheeses had sugar in them. 😦 Well, I had paid almost $5.00 each, so you know I ate them. And they were delicious! All three of the cheeses were. I don’t know why I never thought to try goat’s milk cheese before. As much as I would like to take the easy way out and just buy the flavored ones, I decided to be good and do some experimenting. I’m trying not to eat sugar. I went out and bought blueberry’s, figs, nut butter, and honey and started whipping up some of my own flavored goat cheeses to pair with fruits and vegetables. The results? Three great dips using plain goat cheese as the base. Put it all in a bowl and mix with a fork, while also smashing it all together to break up the cheese and combine everything. Don’t worry about getting all the little chunks of cheese smoothed out. They add tecture and taste great! Coupling an in-store coupon with a sale will save you even more. Serve with carrot and celery sticks. This winter hasn’t seemed as bad as last winter. Not so far anyway. Last year, the first couple of months were too cold – colder than normal. While we’ve had some of those days this year, there haven’t been as many. It seems like it rains after most snow days, making for very wet weather. I still see patches of lawn, though. Not that I’m complaining. I’ll take this over two months of freezing cold temperatures. How about you? I’ve been enjoying having Zowie and Devan in the area, and spending time with my precious grandchildren. Little Man is 3 1/2 and Little Miss is already 6 months old, and they are my hearts joy. Yule (the first day of winter) was a busy, busy day. The bestest picked me up, and we went to my parents home for the family Christmas party. It was a lot of fun. We all exchanged our gifts, and enjoyed some great food. I love my stepfathers homemade baked beans, and he always buys Governor’s rolls to go with them. Yum! When it was time for us to leave, mom packed me 3 meals worth of beans and rolls, as well as treats. She does this for me every year, so I can have the food for my upcoming shifts at The Inn. Then the bestest and I went to her house for our baking day. We made so many things! I made peanut butter and chocolate no-bakes, and three flavors of popcorn. She made breads and chocolate dipped pretzel logs. I’m sure there was more. We packaged all of the goodies, and handed them out to loved ones as part of their holiday gifts. Christmas Eve was spent at my aunts for another Christmas party, and then some of us met up at my daughter’s on Christmas. After everyone left, I stayed behind for further bonding with the grandchildren. I took a vacation from The Inn after the holidays, and spent some time Zowie’s family again, as well as with my daughter Skye and her boyfriend. Play dates with the kiddos are always fun. I babysat one night, so their parents could go on a date, and then bought us all food from Angelo’s another night. Expensive, but well worth it for the family time and a treat. Winters are long. If you’re looking for a project to keep you busy, I suggest reading Joni Meyer’s book Extreme Couponing, and setting up your own coupon system. You might also enjoy checking out my new site, Fabulous Frugal Life. 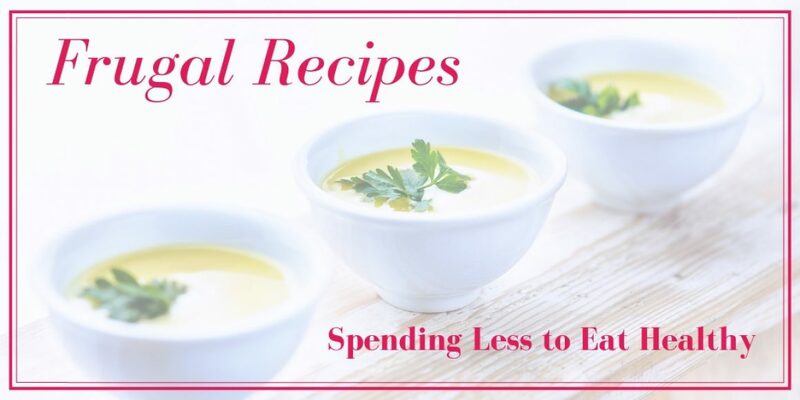 In particular, you might enjoy reading my post on how you can save on groceries. There are many articles already posted to the site, and I’ll be adding more throughout the winter months. Let me know what you think of the new site. Have you read my fiction blog yet? It’s another great way to pass the winter, telling you all about my writing life and sharing about the short stories I have published. Head on over today to check it out! Oh how I love this Little Man. ❤ My grandson is a big helper, and he has mad stirring skills! Just look at him. Little Man likes to help in the kitchen sometimes, so I asked him if he would want to help me bake some chocolate zucchini cake. I needed to make some for my coworkers, and told him I’d leave a cake at his house as well. He was good with helping so, while his mom was looking for a job not long after they moved to the area, Little Man and I baked. He was so good about washing his hands. I measured out all of the ingredients and he showed me his crazy good dumping skills. Little Man was very impatient while spreading the cream cheese frosting. I’d put a scoop on the cake, he’d move the butter knife over it once, then stick his hand through the frosting and into the cake to taste it. What a goober! I had to finish that part on my own. We chatted about a lot of things while we were making this cake, and we laughed so much. I’ll always cherish our baking time. The memories will, hopefully, stay with me forever. Little Man is a hoot to bake with. We’ll be making a chocolate mayonnaise cake with peanut butter frosting next. I know these things are not healthy, but they are a nice treat once-in-a-while, and my coworkers appreciate a treat on occasion. I’m Picky about Cooked Veggies, But I Love them Raw! Okay, I do like some vegetables cooked. Mainly things like peas and potatoes – of course, I like white potatoes raw as well as cooked. I’m aware that it is said to be, nutrient-wise, better to eat certain vegetables cooked, but I just can’t stomach most of them that way. I can only eat carrots cooked if they are mashed in with white or sweet potato, or shredded into chili or meatloaf. …I eat a lot of raw veggies. I do different things with them, so I’m not always eating the same things. I make wraps, veggie and otherwise. I always get or make vegetable platters for parties. I have always loved stuffed celery. My sister makes it for me, stuffed with peanut butter, for get-togethers – because she loves me. I also like them stuffed with almond butter. I like to snack on raw cabbage. Just raw cabbage. Yum. I like to add vegetables to smoothies. Not just greens. I’ve also put carrots, broccoli, celery, and cucumber in them. I’ll likely try other veggies in them as well. I like to add extra vegetables to meals as well, such as shredded sweet potato to meat loaf or chili. Or making a shepherd’s pie by layering beef or chicken, peas, white potato, sweet potato, and squash. Sometimes I use fruits and vegetables interchangeably. They’re both so good for you! Are you a picky eater? How are you getting your vegetables in? I don’t need family size packages of food now that it’s just me at home. An already refrigerated quart of almond or coconut milk would be perfect. A package with just four slices of cheese. One-quarter pound of pre-packaged ground beef. Just enough for one or two meals for one would be perfect, without the jacked up prices because you’re buying less. There is a little of this going on, but at a cost greater than with the bigger packages. You can get three string cheese for $1.00, but you’re going to spend more per string cheese than if you bought a package of 12. Why? I won’t eat 12 string cheese quickly enough to warrant that purchase; some would go to waste. Let’s talk spinach. It comes in a big package, and half of it goes to waste before I can use it all. Why not offer the single person half the quantity for half the price. Help a girl out. Seriously. A girl could eat healthier more consistently if she could get half the amount for half the price. So she can have more variety. How about letting me choose how much fresh spinach I want to buy, like when I buy my cucumbers, apples, and pears. But please, don’t make me have to pay more to get just what I need. If you can package three cucumbers for a dollar, why do I have to pay $0.68 cents just for one. I mean, it should be cheaper just because there is no packaging. Just some ponderings from a girl who wants to save money on her grocery bill. Now that the holidays are over and our new year goals have been set, I bet I’m not the only one eating better than I was during the holiday season. One thing I’ve been considering is the amount of meat I eat during a meal. I can easily load half of my plate with meat, but I’m not sure that’s what we should be doing. Not that meat is bad. I love beef, chicken, pork, and turkey. However, I think we are seriously lacking the nutrients we need from fresh fruits and vegetables. I want to be eating more fresh produce and less meat, so I’m going to be switching things up a bit. My goal is going to get in more fruits and vegetables each day. To accomplish this, I’m going to make the sides the main part of my meal, and have less meat at each. Protein is an important part of every meal, and I don’t want to skip on that, but I think I’ll get enough if I use vegetables that have the nutrient alongside a little meat. Broccoli, green peas, asparagus, cauliflower, black beans, and broccoli raab are just a few of the vegetables that contain protein. I figure, if I can pair a protein-rich vegetable with the little bit of meat cooked in a healthy fat, and then add more veggies to the plate, I’ll be doing good. What do you think? 2018 went by far too quickly. Did you notice? I didn’t have time to do so many of the things I wanted to do. For instance, I wanted to add a lot more content to this blog, experiment with new healthy recipes, and rearrange my little area. It’s okay. I’ll be doing more of those things this year. Sometimes things just get away from you. This year’s theme word, or word-of-the-year, is FOCUS – for me, anyway. So I’m going to focus on getting some things finished up and learning more nutritional stuff. I’m going to try out new recipes, and experiment with them, to create more menu ideas for myself. Obviously, I’ll be posting recipes and such regarding the new things I find. There will be plenty of recipes, more quick tips, and other information you will find useful in the new year. Thank you for hanging around!